The "Journal of Postgraduate Medical Institute" is the official journal of Postgraduate Medical Institute, Peshawar, Pakistan. We are dedicated to encourage and facilitate research at all levels and in all fields of medicine. We are predominantly devoted to reporting original investigations in the biomedical and health sciences, including research in the basic sciences; clinical trials of therapeutic agents; effectiveness of diagnostic or therapeutic techniques; or studies relating to the behavioral, epidemiological, or educational aspects of medicine. 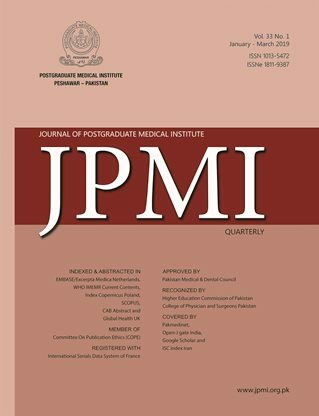 This site contains the full text of all articles published in the JPMI.